The physicians at Charlotte Gastroenterology & Hepatology are the area’s experts on IBD and are honored to be one of thirteen practices in the country chosen for the roll-out of Project Sonar. In addition to our infusion centers and ongoing research studies, Project Sonar is now available as part of our continuous effort to provide patients with the most cutting-edge care for Crohn’s disease and ulcerative colitis. 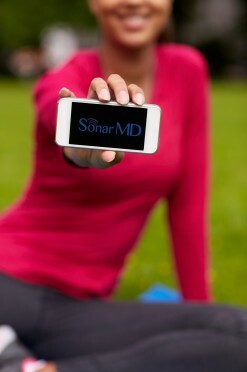 Sonar MD is a care management tool for patients with IBD. It allows physicians to monitor a patient’s health status through the ongoing use of electronic health assessment surveys. As the only medical group in the Carolinas with Project Sonar, Charlotte Gastroenterology & Hepatology now offers patients a simple, effective way to be proactive in the management of their health. Inflammatory bowel disease can have debilitating effects. Patients suffering from this disease often miss work, school, social activities, and family events due to their symptoms or hospitalization. IBD may also cause a financial burden due to increased medical expenses and missed time from work.To make matters worse, flare-ups can be unpredictable. Use of the Sonar System allows for early intervention and symptoms may be reversed before patients miss out on life’s important events or incur additional healthcare costs. During the initial pilot program, there was a significant reduction in the hospitalization rate of participating patients. The Sonar System pings patients at the first of each month with a series of five questions. Results are interpreted and assigned a score. The score alerts patients about potential flare-ups. When the score increases, patients are encouraged to seek care with their physician to avoid hospitalization or complications. Charlotte Gastro has a dedicated nurse care manager monitoring each patient’s scores. The practice is also alerted when a patient’s score is high or has a significant change from the previous month. Become a partner in the management of your health alongside the Charlotte Gastro healthcare team by enrolling today.